There is a hard-working team behind every successful digital business. While some businesses have small teams made up of just a handful (or fewer) of people working together to achieve greatness, others have large teams that include hundreds of employees working in lavish offices across the globe. Despite team size, digital businesses have the ability to show off the people behind their brand on the staff page of their website. The staff page, for instance, provides businesses with the opportunity to showcase their employees’ unique personalities while also highlighting the expertise of their team. In doing so, businesses can increase both their brand’s relatability and authority in a specific industry. To have a staff page that actually generates traffic, however, businesses should work with their website designers and developers to create something more than just a list of names or lackluster head shots. 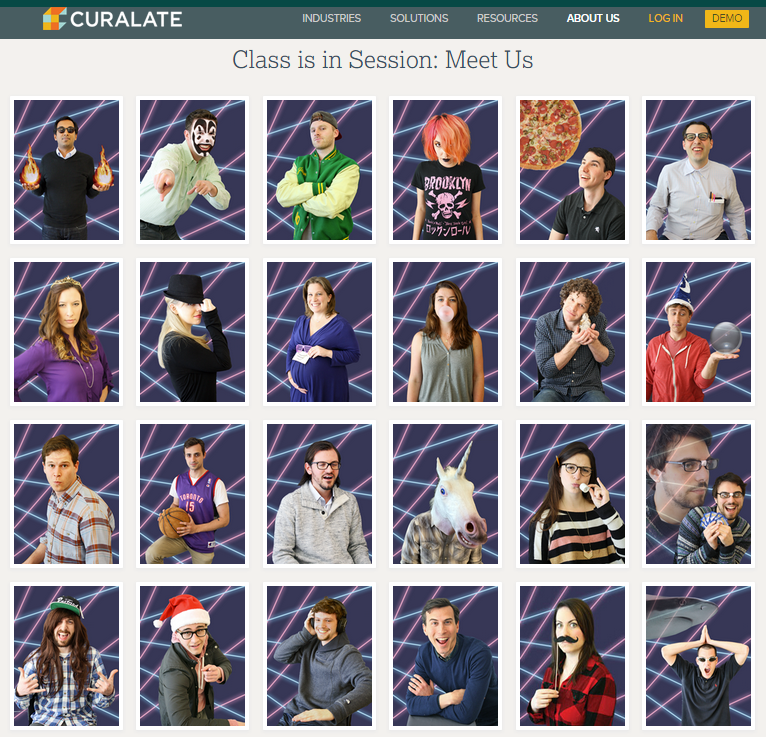 Curalate’s staff page uses silly images to encourage site visitors to meet the team behind its visual marketing platform. The staff images feature backgrounds with awesome lasers and include props to highlight each employee’s personality. Plus, when visitors mouse over the images, they can see the names, titles and twitter handle of each employee. Popular travel company Kayak has created a truly interactive experience on its staff page. 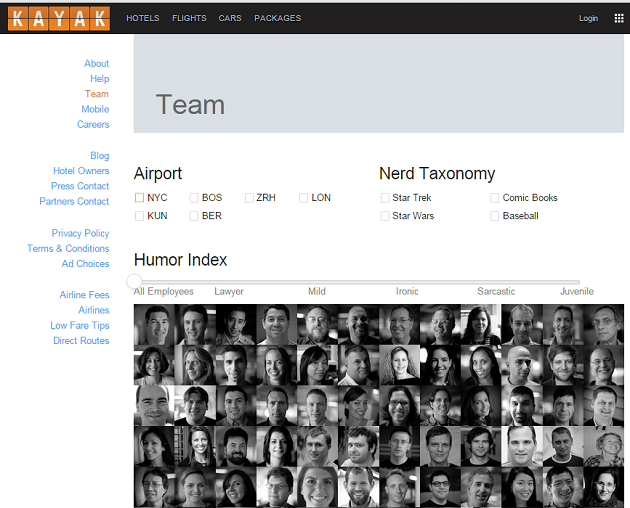 For example, visitors can learn more about the company's employees by leveraging filters for airport, nerd taxonomy and humor. With these interactive filters, visitors can quickly find Kayak employees that meet specific criteria, such as NYC employees that love baseball and have sarcastic sense of humor. 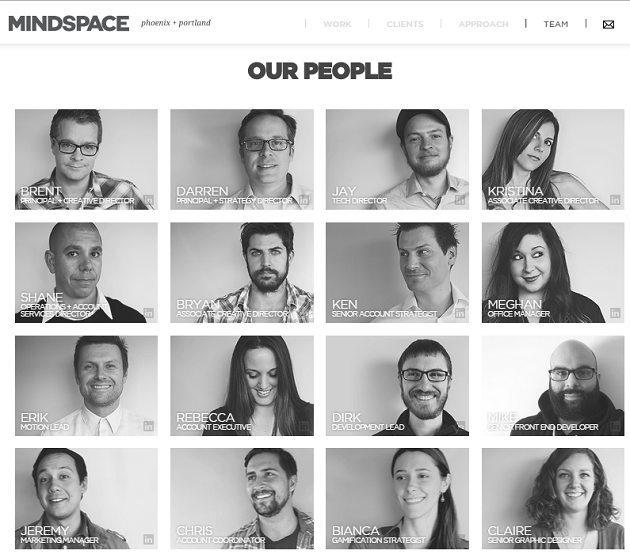 Interactive and gamification agency Mindspace takes a more classical approach to its staff page. Each team member is featured on the page with an elegant black and white photograph. Plus, Mindspace makes it easy for visitors to connect with or learn more about any member of its team by linking each photograph to the employee’s LinkedIn account. While not laid out as neatly as some of the aforementioned companies’ staff pages, Wanelo does a great job at highlighting its employees’ personalities via descriptions. 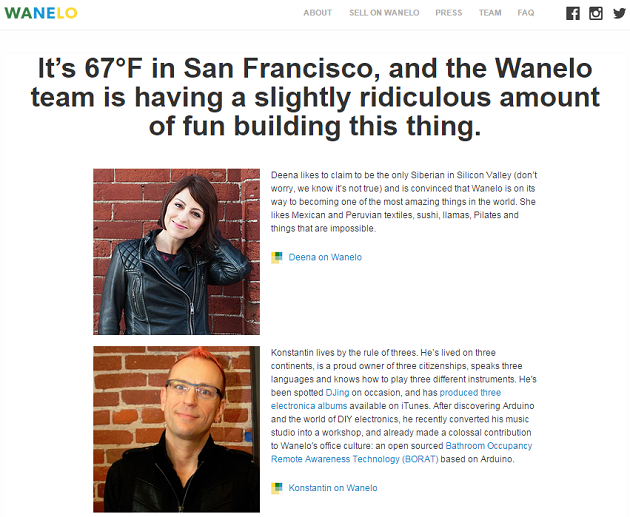 In addition to featuring relatable employee bios, the shopping platform uses its staff page to drive traffic and engagement with its platform by featuring a link to each employee’s Wanelo profile under their description. Virtual shopping platform Wondermall features unique navigation on its website via parallax scrolling. 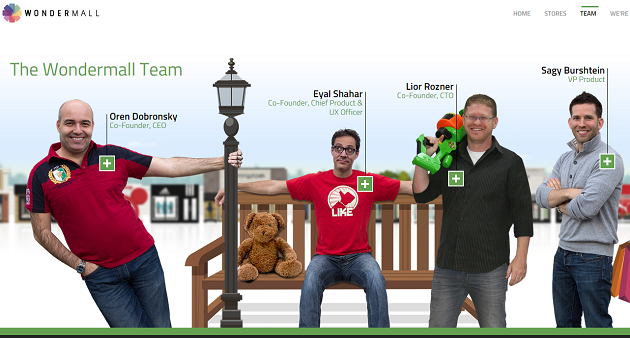 Once users scroll to the “team” section of the site, they are able to move across a horizontal staff image that features the company’s employees on a fictional background, complete with a stylized teddy bear and park bench. In addition to this imaginative layout, visitors are able to click on the “+” symbol to learn more about each staff member with descriptions that feature the employee’s skills and expertise.